It will hopefully be leaving town at about 14:15 ish and following the 46 route. I am hoping to join him so expect a few photos after the weekend. Hello. I'm Michael, owner of TTT 168X or 'Annabel' as I like to call her! I have had an interest in buses from an early age. 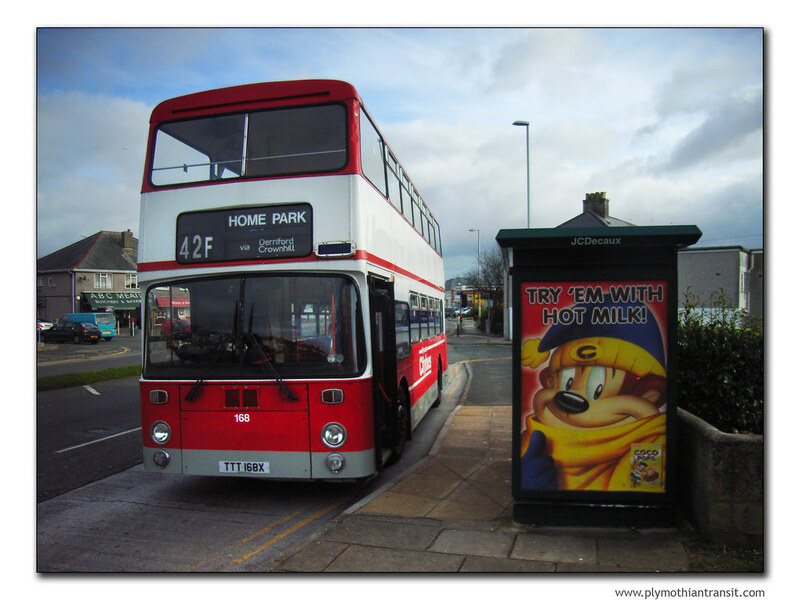 I can recall riding round on Plymouth Citybus Leyland Atlanteans when they were in active service and I used to catch them going to and from school as well. I used to sit at the front and watch how the drivers used to change gear. Some were better than others!!. Transport of Delight: Elite Citylink Gold Stunning! WillCycle: Crap Cycling - in Plymouth! Reports from our Operations Team state that since the new filter light/lane has been erected on the Laira Bridge/Finnigan Road junction punctuality of our Plymstock services 2 & 6 have improved dramatically so it has clearly made all the difference to the flow of traffic.